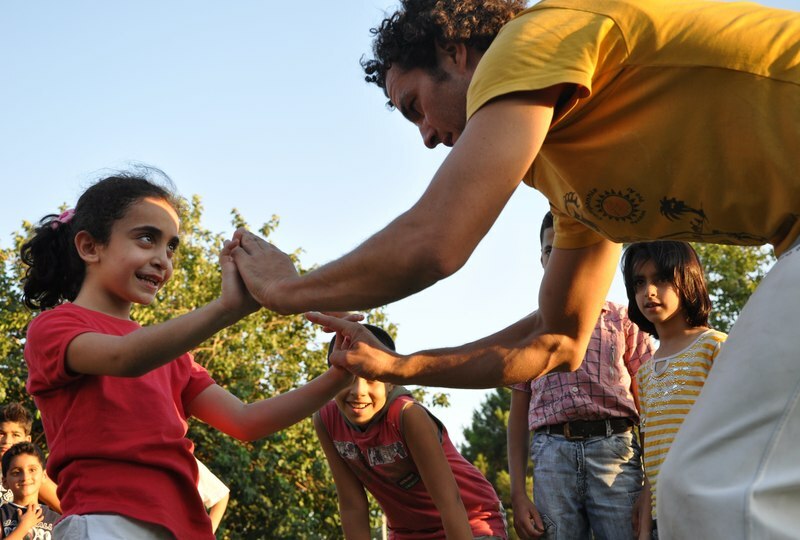 From 2013 to 2015, Capoeira4Refugees, in collaboration with the University of East London, participated in a two-year field study of the effects of capoeira on refugee children and youth in Palestine and Syria. Authored by Dr Kathryn Kraft and Hannah Prytherch, here is a summary of the long report. A mixed-methods methodology was employed. 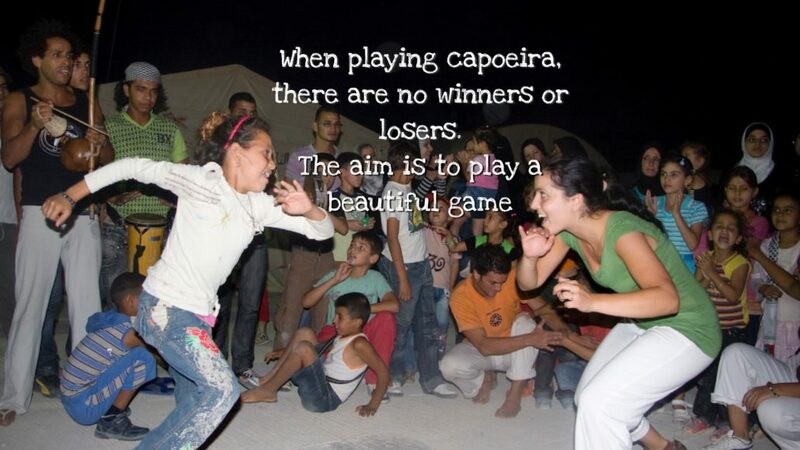 Capoeira4Refugees uses Capoeira as a psychosocial tool to promote well-being among youth affected by conflict. Capoeira is an Afro-Brazilian craft that combines live music, sport, dance, play, culture and history. The long report evaluates the psychosocial impact of Capoeira in relation to Capoeira4Refugees’ existing theory of change which purports that Capoeira leads to improved psychosocial well-being through the development of five key domains: playfulness, emotional stability, friendship, tolerance and inner strength. Most of Capoeira4Refugees’ students face the ongoing threat and consequences of political violence. This affects the regular scheduling of classes, attendance and the mental state of students. Hailed cultural values of loyalty and self-defence are often expressed through violence and many children live in a context where physical, verbal or emotional abuse is commonplace. Both males and females face increasing pressures as they pass through adolescence; the responsibility of financially sustaining their family often falls partially or totally on young men, whilst girls are expected to prepare for married life by staying in and learning domestic responsibilities. Results indicated that Capoeira4Refugees students did appear to be experiencing psychosocial benefits through their engagement in Capoeira. Results were divided into four main areas: the distinctive features of Capoeira, the societal challenges facing children in conflict, the domains of psycho-social change, and the relationship between trainer and student. Evidence supported Capoeira4Refugees’ theory of change, showing that through the five domains of change, Capoeira did promote psychosocial well-being in children and youth. Increased playfulness gave students a means of self-expression and a chance to enjoy their childhoods, leading to feelings of happiness, joy and psychological freedom. These feelings extended beyond Capoeira sessions and resulted in increased joy and productivity in other areas of life. Similarly, emotional stability was seen through improved mood and ability to deal with difficult life situations. In the home and at school, students were calmer and more committed, disciplined and focused. The collaborative approach of Capoeira helped children to build new friendships, strengthen existing friendships and develop social skills. Related to this, Capoeira resulted in increased tolerance; although Capoeira led students to feel better able to physically defend themselves if necessary, it resulted in a decrease in aggression and increased respect towards and acceptance of others. Finally, Capoeira developed inner strength and confidence, particularly in oft-disempowered groups like girls and low academic achievers. A final component of the psychosocial process not covered in the theory of change was the relationship between trainer and student. Trainers sought to model and develop values in themselves such as are respect, concern for others, self-control, patience and empathy. They showed patience towards and invested time in their students, expressing pride in the practical and psychological developments they observed. The more trainers invested, the more likely students were to open up. Many students described their trainers as role models. Often these strong bonds meant that Capoeira continued beyond barriers and circumstances, with students training even when political circumstances meant that classes had to be stopped. Capoeira4Refugees uses a variety of monitoring and evaluation tools to measure change in its students. The ‘Most Significant Change’ method is a quantitative tool that encourages students and trainers to self-report on what they feel have been the most significant changes to themselves and others over the period of a project. Below are some examples of MSC stories from Palestine and Syria. Sport is a proven tool for psychosocial improvement in children, along with music and play. The benefits of these activities are increased when combined. The long report highlights Capoeira’s unique combination of music, sport and play does indeed improve emotional wellbeing in children affected by conflict and that the students’ commitment often extends beyond the bounds of the original project periods. Children practise at home and in the street, spreading Capoeira to their family and friends, who in turn, also reap the benefits.